Today we continue with our Hugo Award coverage with a look at the Novella category. There are not many categories on this year's ballot which lines up so well with my nomination ballot, but this is one of them. Of the five nominees, I nominated three of them: Binti, The Builders, and Slow Bullets. Naturally, I am happy that the three of them made the cut. If I had the power to add just one more story to this category, I would have loved to have seen Matt Wallace's wonderful Envy of Angels make the list. That was a fantastic story and everyone should read it. Since people tend not to fully agree with my taste in fiction, let's take a look at what is actually on the final ballot. 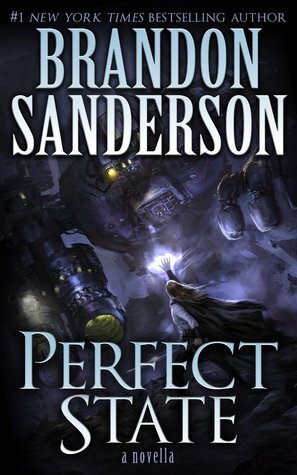 Perfect State: Having read Brandon Sanderson's work from his debut novel Elantris through pretty much everything he has published to date for adults, I would say that I'm somewhere between really enjoying his stuff to just flat out being a fan of his fiction. I want to like his fiction and I generally expect to do so. It was very much to my surprise and disappointment that Perfect State was such a miss for me. As much as I enjoy the concept of everyone getting their own virtual world of which they get to be the hero, and the clash of different individual ideologies, it didn't work. For me. It likely worked for others. Slow Bullets: The looming sense of dread permeating Slow Bullets is one of my favorite things about the novella. 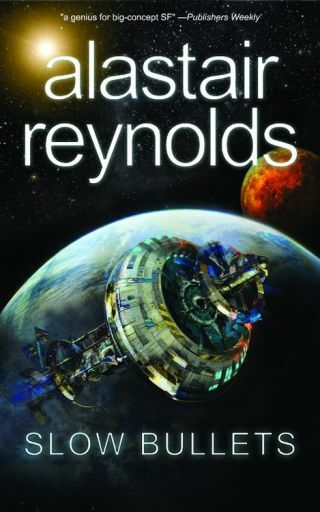 This is a story about survival and passing on information to the next generation and while it isn't the best of the nominated novellas, it is a strong one (as mentioned earlier, I nominated it). See my reviewish essay for additional thoughts. 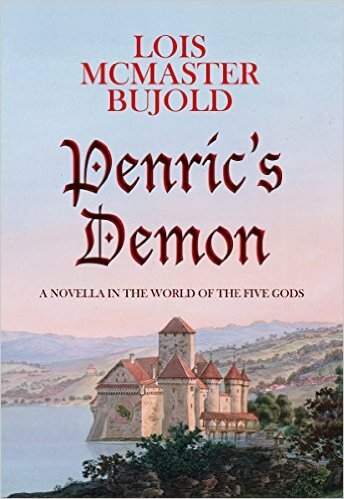 Penric's Demon: Despite not being familiar with Bujold's Five Gods (Chalion) world, I had no trouble at all settling into Penric's Demon. Bujold's fantasy novella is rife with the same smooth characterization and storytelling as the best of her science fiction. Like the best of the novellas, Penric's Demon is a shorter story I wish were much longer while still being a complete and satisfying story on its own. Bujold teases a lot of interesting things in such a short work, with demons and servitude and religion and gods and betrayal all wrapped up in a fairly witty package. The Builders: In most other years, The Builders would likely have been my favorite. It's damned good. 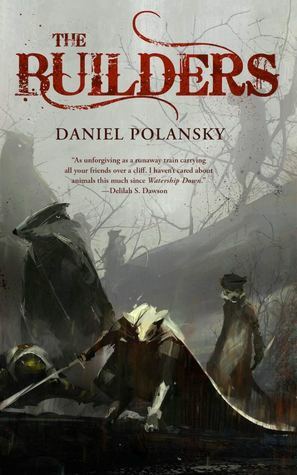 I've seen descriptions ranging from "it's like Redwall meets Unforgiven" to Rob Bedford's combination of The Usual Suspects + Joe Abercrombie + talking animals. While we try to piece together some quick and easy way to describe The Builders, it really isn't quite like anything else. It's getting the band back together for one more show, but in this case one more show happens to be an explosion of violence and revenge. It's dark, it's nasty, it's funny, and yes, it has talking animals. The Builders is fantastic. Binti: I suspect that Binti's Nebula Award win also makes it the front runner for the Hugo, but the opinion of the matter is that it really is that good. 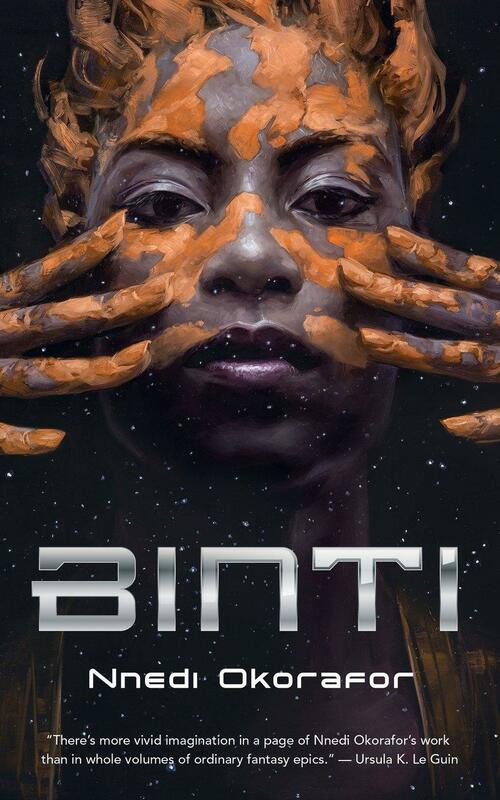 This story of a young woman being the first of her people to attend a galactic university deals with so much in such a small space - the clashing of cultures on both a micro and macro level, the personal drama of Binti herself, and a number of other things that I just can't put into words. It has been months since I've read Binti and it has stuck with me from the moment I closed the cover.